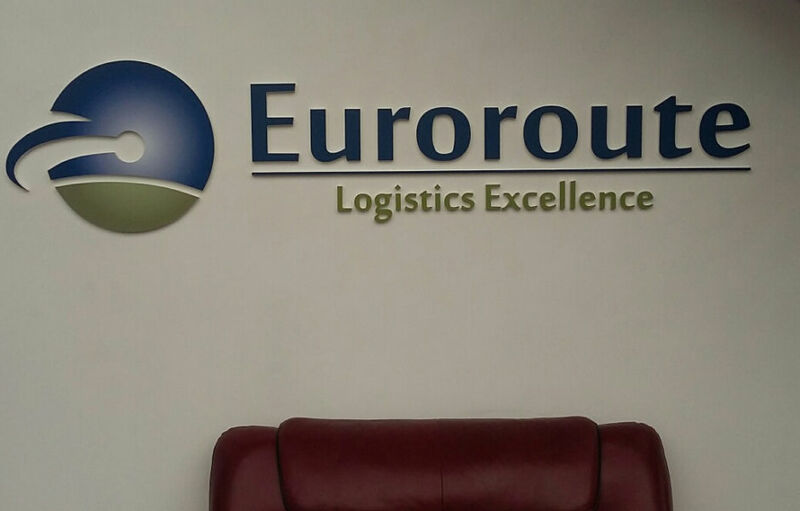 We were called in by Euroroute to assist with their plan to refresh their brand. 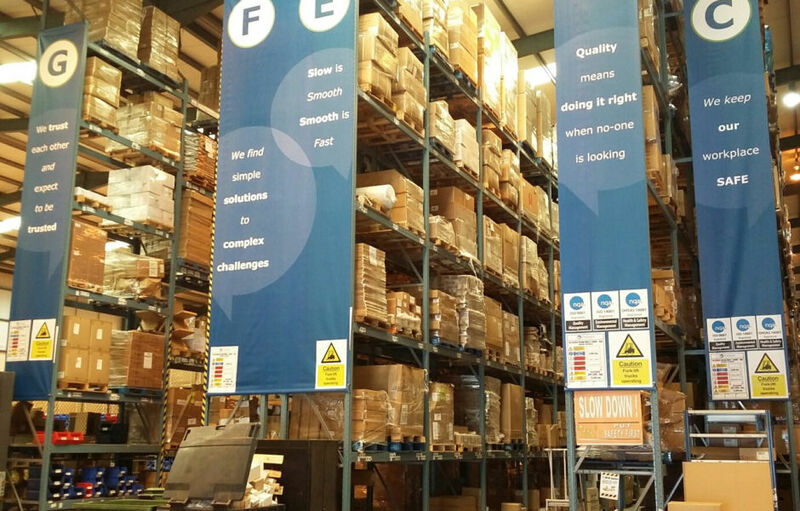 They needed us to design, manufacture and install building banners, drop banners, reception signage, wall vinyls and re-face steel post entrance signs. To do it all within budget and working to a demanding schedule – a specific date to coincide with a video shoot of the facility. 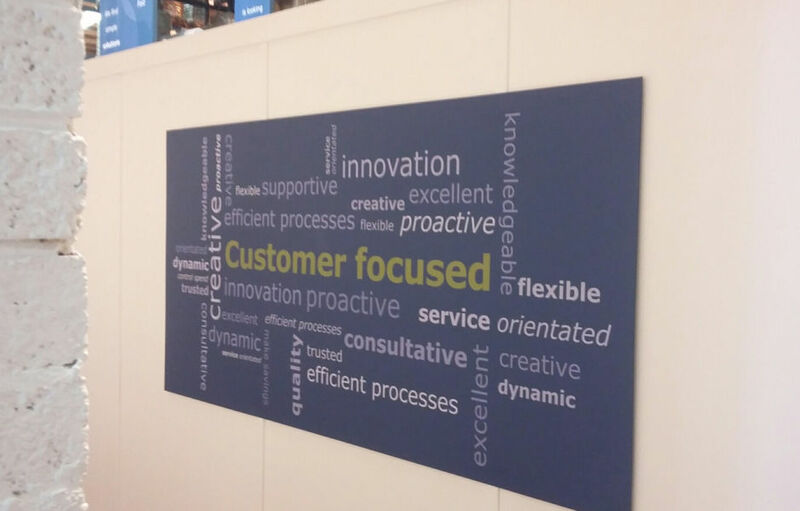 This kept the whole team focused on finding a solution that created the necessary impact for the lowest cost. We had to be inventive. However, we also wanted to make sure that the new branding was more then just a short term fix for the video shoot. It needed to last and deliver long term value to the business. 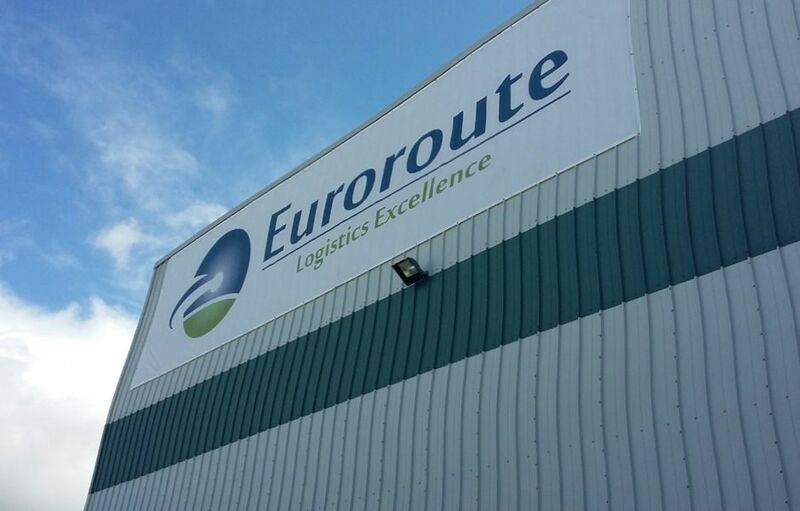 The signs play a starring role in Euroroute’s new corporate video and they look great. Click here to have a look. 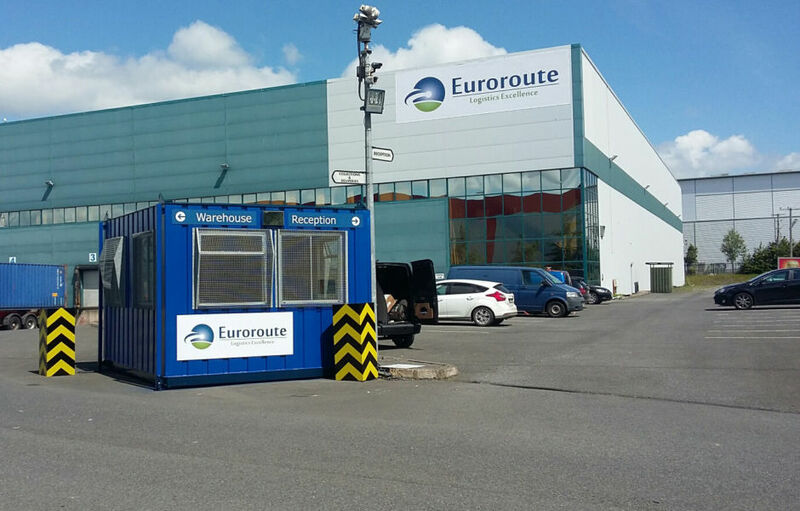 Not only does the Euroroute team love them, their clients do too and have been giving them lots of compliments. And that’s not all. 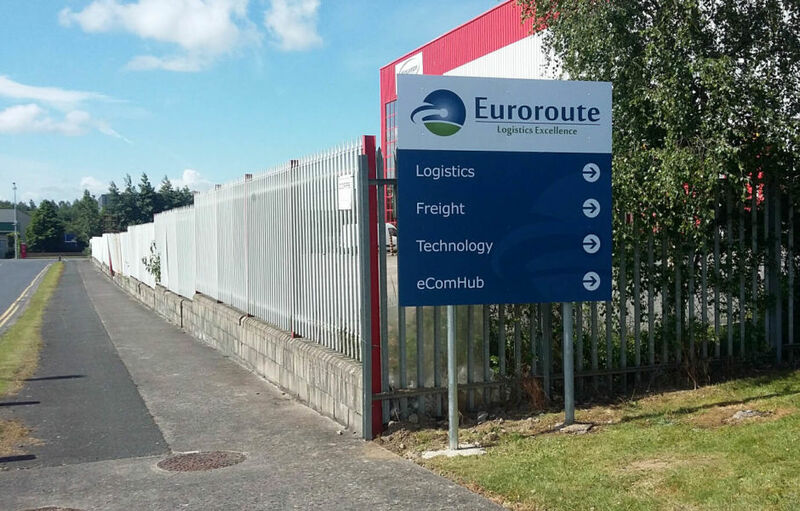 Euroroute is easier to find in Northwest Building Park thanks to the building banner on the exterior of their warehouse. 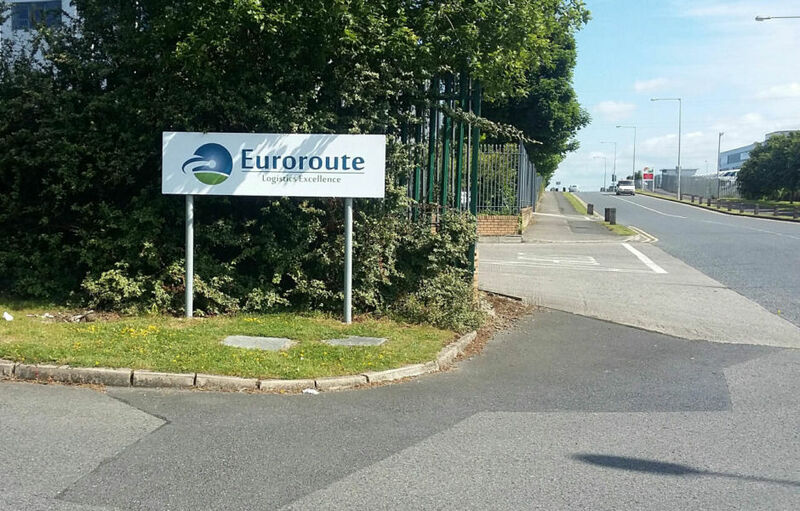 The steel pole signs at the entrance have been re-positioned to ensure that they can be seen from the end of the road. “Couldn’t have done it without you Jan – congratulation on a superb job! 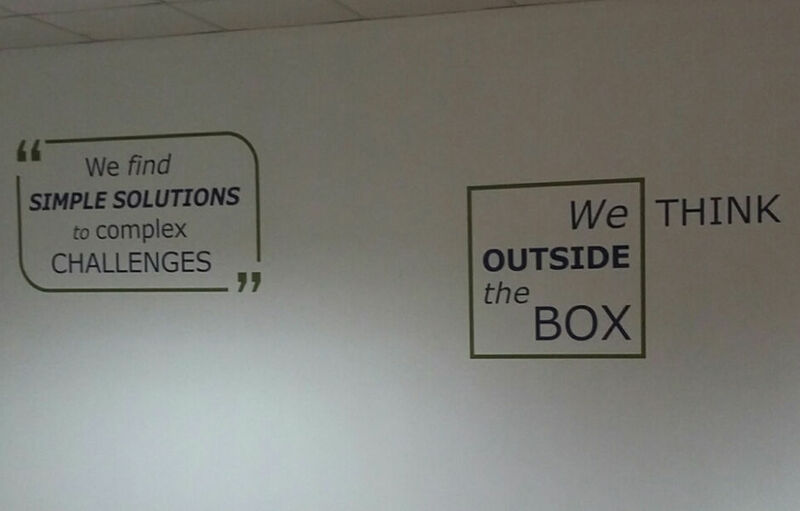 iQ Branding Solutions’ contribution was invaluable and we will be forever grateful. We have received so many compliments from existing clients. And also prospective clients that come and visit us about how the facility is set-up. Our staff are really pleased with our new look also.